Move In Ready! Avalon II C Single story floor plan with 5 bedrooms, 4 baths, and a 3-car garage! 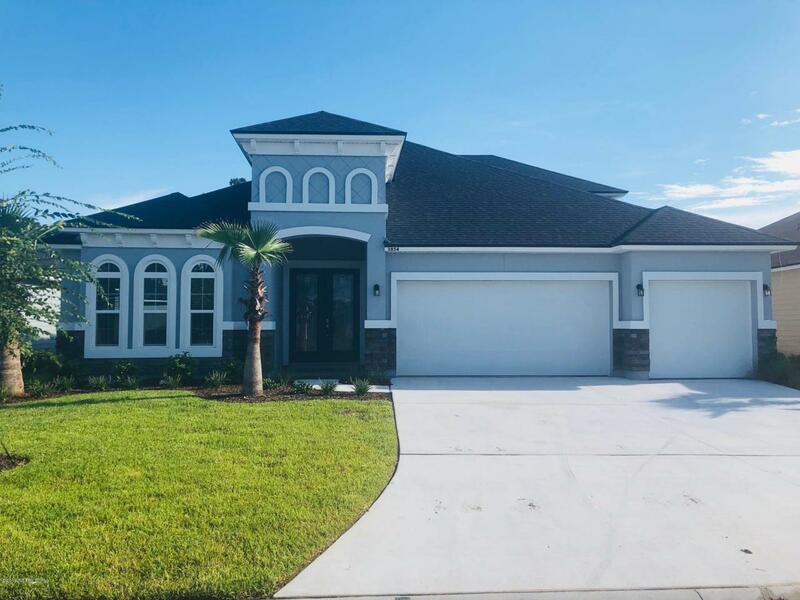 Open floor plan includes SS gourmet kitchen appliances + refrigerator, upgraded tile flooring throughout main living areas and carpet in bedrooms and coffered ceiling feature in family room. Bay windows in the master bedroom and Bed 4. Located on the pond. Triple sliding glass doors with hidden pocket door. Also included: Washer and dryer, whole house blinds, garage door opener & keyless remote, and security system. Built w/ the Zip System moisture and air barrier. Also built w/ Advantech Subfloors on the 2nd floor. Call today for more details!